Struggling to open your car’s trunk? This is a common problem, especially with older models: the lid jams shut and you just can’t get it open. If this has ever happened to you, you know just how frustrating it is. And it’s even worse if you have important items in your trunk — groceries, files, a laptop, luggage. Maybe you left your car keys in the trunk by accident and now you’ve got no way to get them back. Don’t panic: just leave it to the professionals. Toro Road Runners works with a network of experienced, licensed affiliates with years of valuable experience between them. Each professional is highly-trained and qualified to perform open trunk services to the highest standard. We operate in the East Bay and general Bay area, catering to drivers 365 days a year. And unlike some other towing, roadside assistance and auto locksmith companies, we’re available 24 hours a day, 7 days a week. Any time of the day or night, we’re here to help. Is your trunk stuck, cutting you off from those important documents when you have a crucial meeting to make? Have you locked your keys in the trunk when you’re due to take a loved one to the airport on a schedule that’s already tight? Did your key break in the trunk’s lock? In any of these situations — and any other — you can depend on Toro Road Runners. Our affiliates know the Bay area and its roads so well, they’ll get to you in next to no time. You have things to do, people to see and places to be. We know this. And that’s why we value your time as much as you do. Toro Road Runners’ open trunk services have helped countless customers over the years, and we take great pride in providing an experience of the highest quality in every single case. Our BBB accreditation is a testament to our commitment. We want you to feel 100% satisfied with our service, no matter the job in hand. Our licensed affiliates share our drive to be the best and passion for building strong bonds with our customers. They’ll be friendly, courteous and honest while they open your trunk, no matter the difficulty, no matter the hour. When you call Toro Road Runners for our open trunk services, we’ll quote the most competitive price we can. We always strive to keep our prices fair, reasonable and affordable for drivers on diverse budgets. Everyone has their own financial limits, but we believe everyone should have access to expert services when they need it. 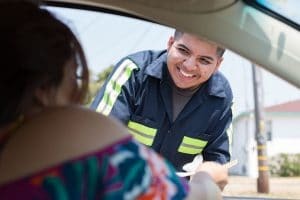 And just because our open trunk services are available at a cost-effective rate doesn’t affect the quality of our work — the affiliates we’re connected with will take care of your problem with the utmost professionalism, respect and safety. Opening trunks can be extremely delicate work, particularly on older models where locks may not be quite as robust as they should be. You have to take care with the paintwork and avoid damaging the trunk itself. We take all this into consideration and treat your car with the care you expect. And there are no hidden fees to worry about: the price we give you is the price you’ll pay. Toro Road Runners is transparent at all times, from the moment you first call us. Toro Road Runners is ready to organize your open trunk service and send a licensed technician to you right now. No matter where in the East Bay and Bay area you may be, a professional will be with you as soon as possible. Just pick up the phone and give us a call on (800) 600-0676 now!